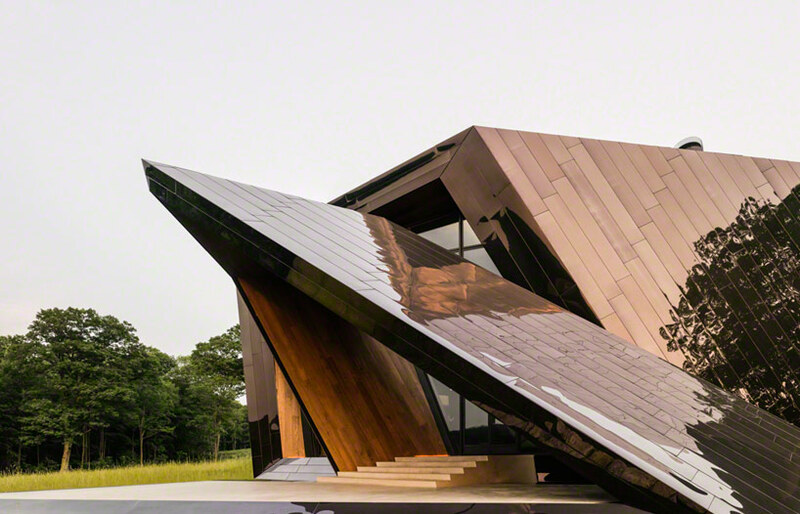 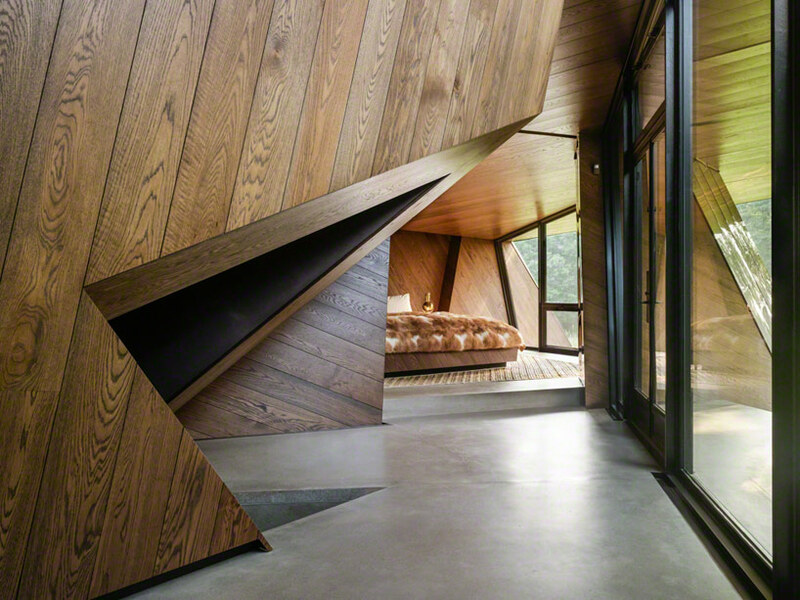 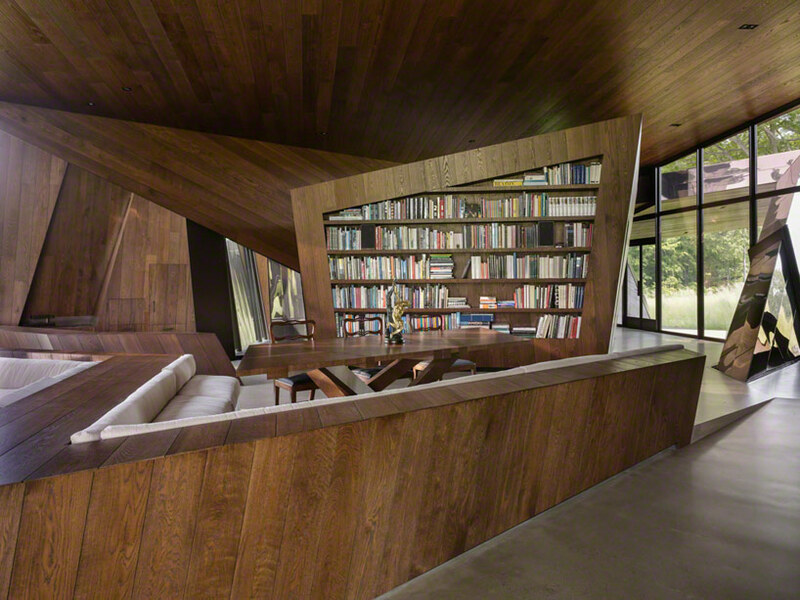 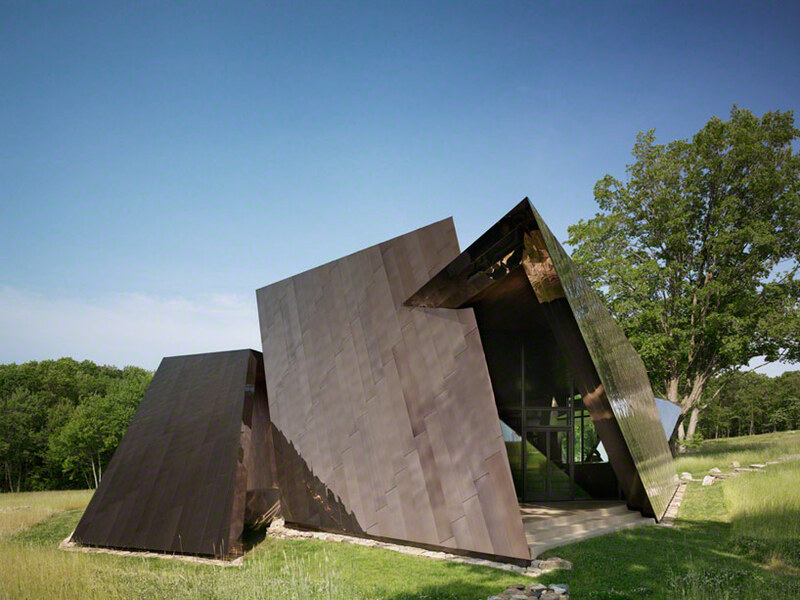 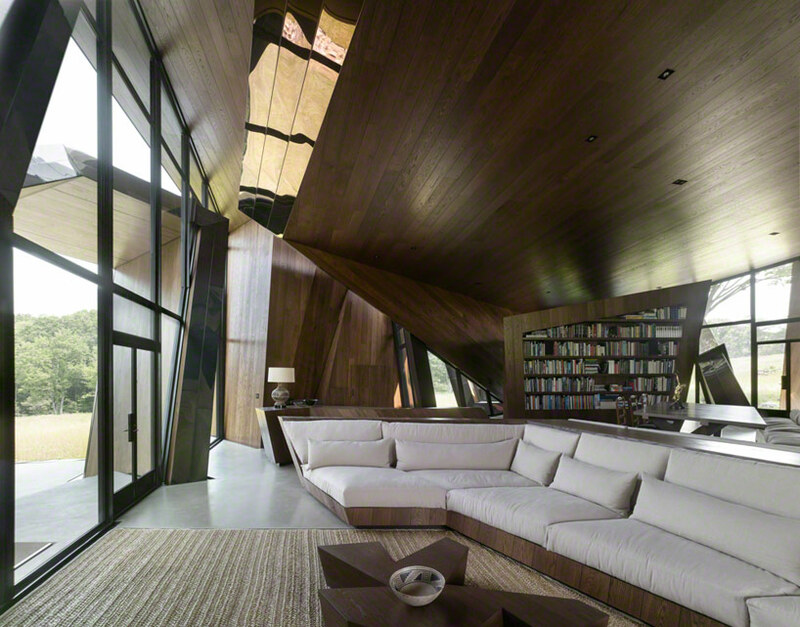 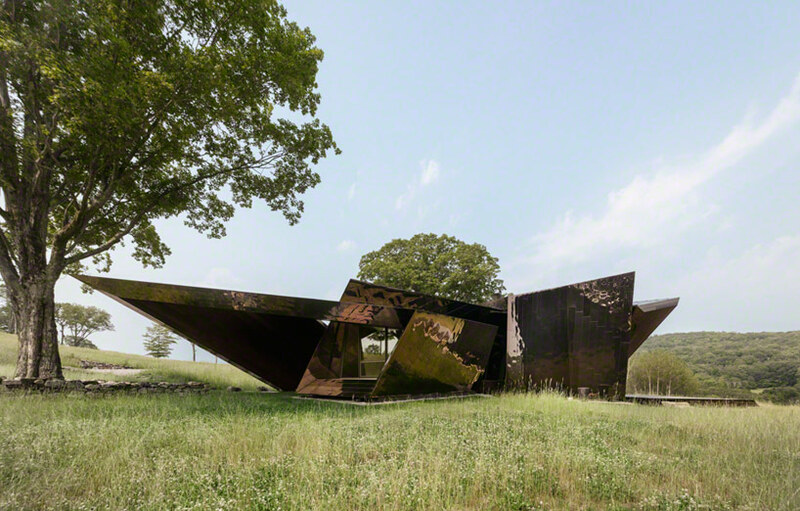 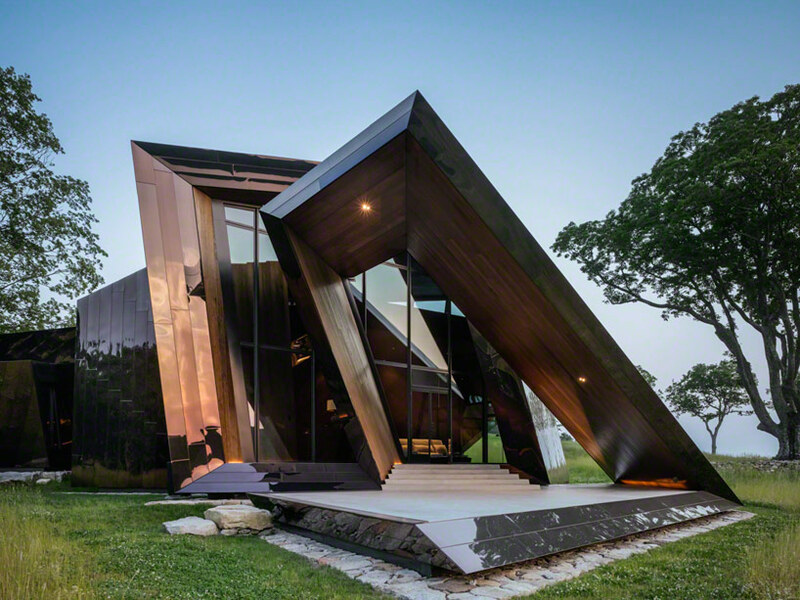 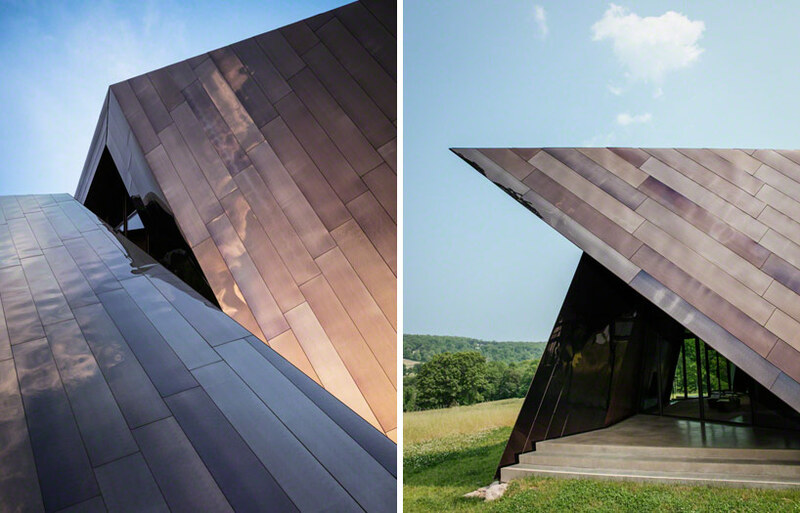 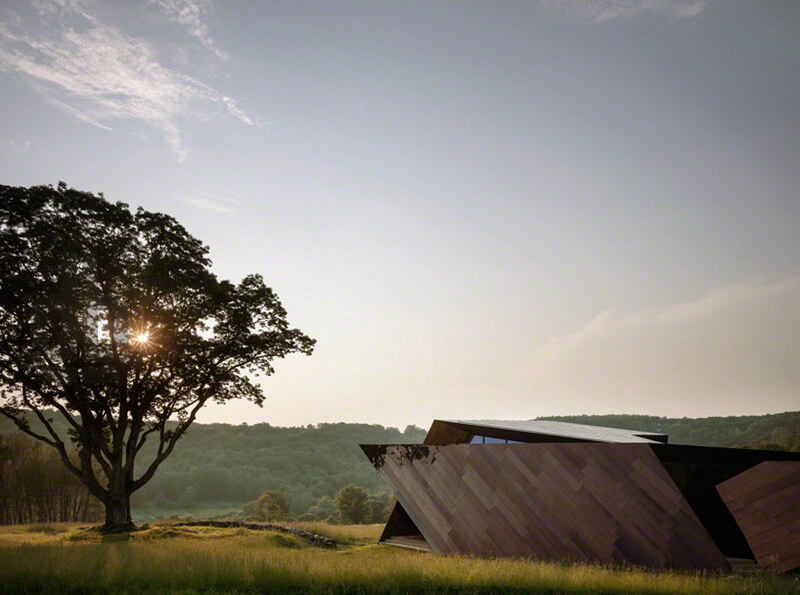 located on a 54 acre meadow in Connecticut surrounded by 250 year-old oak trees and historic low stacked stone walls, the ‘18.36.54 house’ by Daniel Libeskind uses a faceted structure to frame dynamic views from all angles of the site. 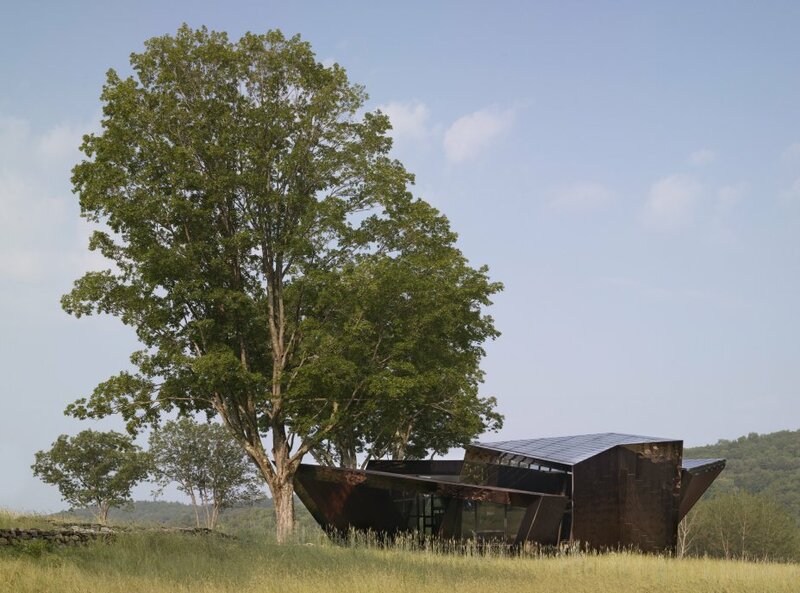 The home outer skin is comprised of reflective copper panels, continuing the natural material palette as it stands visibly independent of its surroundings. 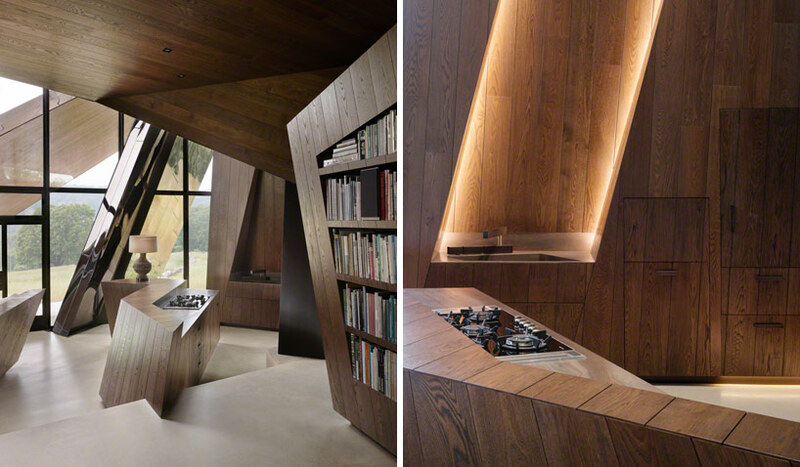 the interior is rendered in deep-toned wooden planks that provide a warm elegant feel to the interior.